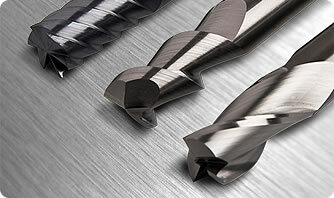 CNC Tooling - Suppliers & Stockists of a large range of Milling Cutters. HSS & HSS-Co End Mills. HSS & HSS-Co Slot Drills. Manufactured in HSS, HSS-Co and Carbide. Bright finish or a choice of coatings. With geometries and helix's for specific materials. With a Single flute or 2, 3, 4, 5, 6, 7,and 8 Flutes.